If you’re getting ready to welcome a new life into your family, you’ll no doubt be trying to get as much organised before the arrival as you can. From clothes to toys and room decoration, you will have your hands full in the coming months and will want to make sure that you are as prepared as you can be. 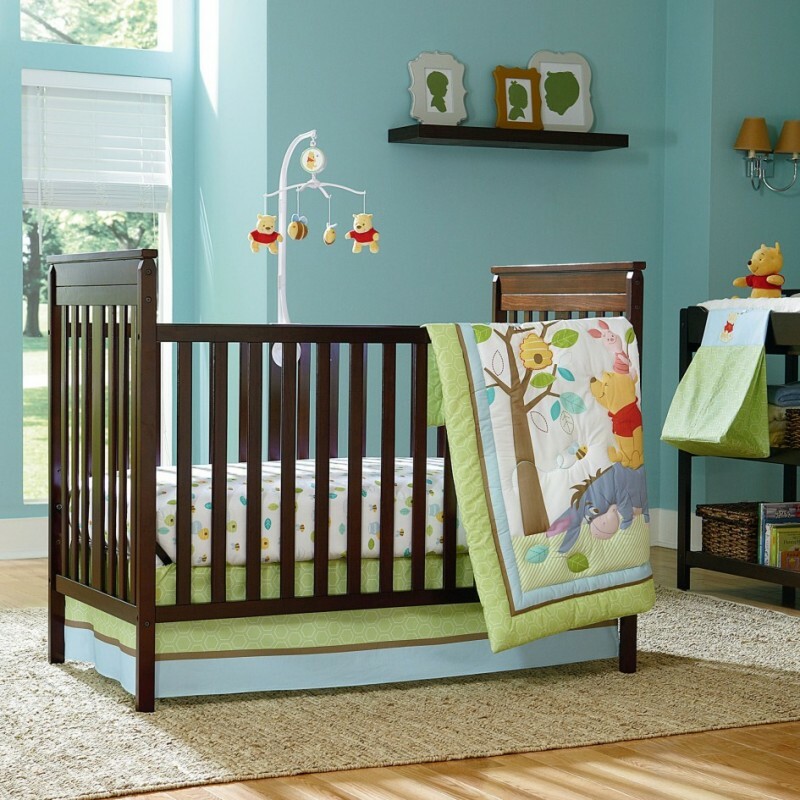 You will be spending a lot of time in your baby’s nursery and will want to make it as comfortable and welcoming as possible, as well as an easy-to-clean and maintain! Oak flooring is a perfect complement for a nursery room and will last through many years as your child grows older. Many of our customers that have had oak flooring installed in the bedrooms of older children have told us how they wish they would have had it installed from the beginning as there is more flexibility to change your soft furnishings and interior décor on a regular basis without the need to also change carpets to complete your makeover. Engineered oak flooring and solid oak flooring are both great additions to any nursery, as well as looking stunning, there are also health benefits of oak flooring which you can read more about here. Oak flooring with underfloor heating is a favourite for nurseries and is a real luxury in the winter months when you might find yourself getting up in the middle of the night and can help to create a more relaxing environment for parents in those sleep-deprived times! We have a full guide available for the requirements to install underfloor heating in any room in your home and are pioneers of a product that we created; ThruFlow underfloor heating, which works in a revolutionary way to provide the best underfloor heating available. If you are not sure if engineered oak flooring or solid oak flooring is the best choice for your home, have a look at our handy guides for the benefits of each, particularly if you are considering under floor heating as this requires an engineered oak flooring to be installed. We have a wide selection of finishes available in both engineered oak flooring and solid oak flooring and you are sure to find the perfect finish for your baby’s nursery in our range. You can choose from a range of finish tones, from the light Celtic Character Rustic through to the chocolate and mocha tones of our hand scraped vintage engineered oak flooring to get the right match for your interior décor requirements. One of the key benefits of having oak flooring installed is the ease of cleaning and maintenance, which will no doubt be a relief in the coming years as your little one grows up. We have a full guide on how to maintain your oak flooring after installation and we are always happy to answer any questions that you might have. With oak flooring in your baby’s nursery, you can change rugs and cushions and other soft furnishings as often as you like without needing to worry about also changing carpets as your baby grows up. An oak flooring will allow you to change the room more easily to reflect your child growing up as you can simply change placement rugs – no having to change from cartoon character carpets as they grow older! Our oak flooring finishes range from unfinished that allows you the flexibility to finish your floor on site to your own taste through to our most popular double brushed and dark oiled oak flooring and all of our floors are the very highest quality oak available. If you have any questions at all about oak flooring, installation and maintenance, we have a range of helpful articles and guides available and we are always happy to answer any questions that you might have.